I’m so excited to share the first reader success story on my blog! 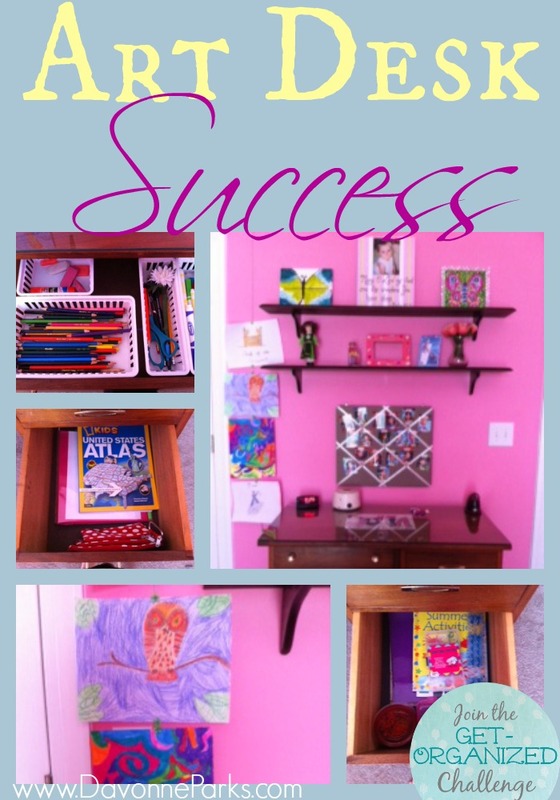 Jaime and her daughter took some of my suggestions and organized an art desk! “This is very fun! I told my family that I am now famous – or infamous rather – for my mess! I agree that I really need to utilize the wall space. I am also pondering how to use the deep drawers on the right hand side of the desk. I especially love how they took my suggestion of putting cubbies or rods on the wall above the desk, and completely turned it into something all their own. The artwork they hung on the left side is way too cute, and the drawers look so easy to use now. Plus that bulletin board is absolutely adorable! 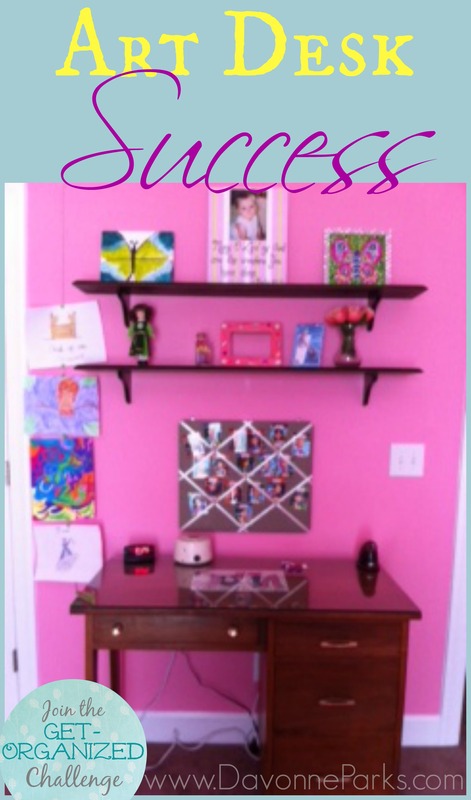 Thank you so much for sharing your success story, Jaime – I hope your daughter enjoys many fun hours of creative work! Make sure to read about Jaime’s Messy Situation here.